FIGURE 19-11 Mouse 7 S nerve growth factor (NGF). The ß-subunit represents the monomeric NGF. Reproduced with permission from Underwood, L. E., and van Wyk, J. J. (1985). In "Textbook of Endocrinology" (R. H. Williams, ed.) 7th ed., p. 172. W.B. Saunders Co., Philadelphia, PA. 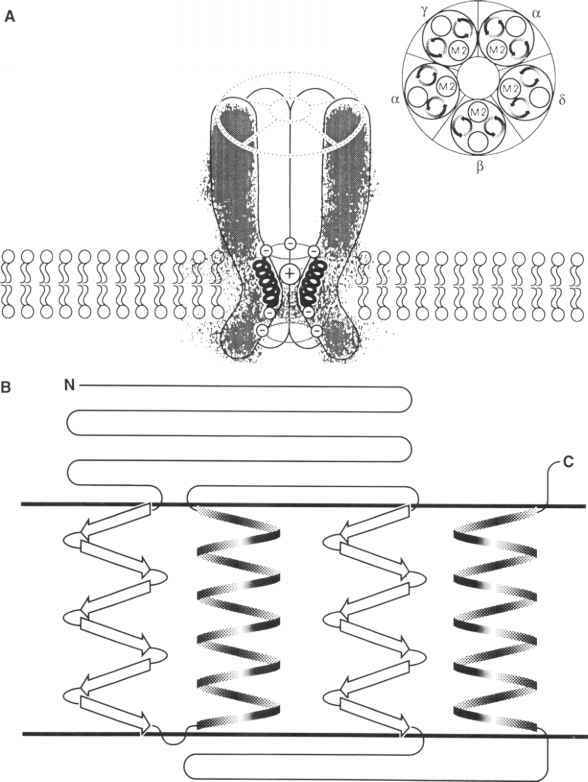 FIGURE 19-12 Diagram to illustrate similarities between the ligand-receptor complexes of the ciliary neurotrophic factor (CNTF) and related cytokines. Abbreviations: G-CSF, granulocyte colony-stimulating factor; OSM, oncostatin M; LIF, leukemia inhibitory factor; and IL-6, interleukin-6. The initial step in signal transduction is binding of the respective ligands to a low-affinity binding site, the expression of which determines cellular specificity. The low-affinity binding sites for the CNTF and IL-6 receptors are soluble, extracellular a-subunits that attach to the cell membrane through glycosophosphatidylinositol (GPI) linkages. A similar a-subunit has not been identified for LIF, OSM, and G-CSF, and the initial low-affinity binding is thought to be to one of the transmembrane subunits. Initial binding of the ligand is rapidly followed by dimerization of two transmembrane /3-subunits. Dimerization creates high-affinity binding sites for their respective ligands and permits signal transduction. The binding subunit of OSM has not yet been identified. Note that the gp-130 subunit is utilized by CNTF, IL-6, LIF, and OSM, whereas the subunit initially described as the LIF receptor (LIFR) is shared with CNTF. The arrow signifies that OSM can also bind to the LIF receptor. Reproduced with permission from Russell, W. E., and Van Wyk, J. J. (1995). Peptide growth factors. In "Endocrinology" (L. J., DeGroot, ed. ), 3rd ed., Vol. 1, pp. 2590-3623. W.B. Saunders Co., Philadelphia, PA.